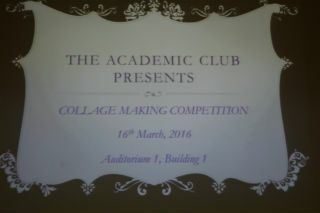 On 16th march 2016 the Academic club of our college organized a very thought-provoking and alluring event for students from all the courses. 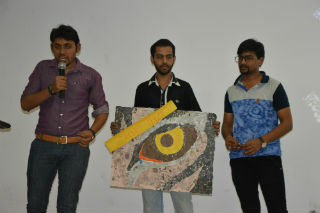 The event was called “Collage making competition” an intriguing event with a simple name. 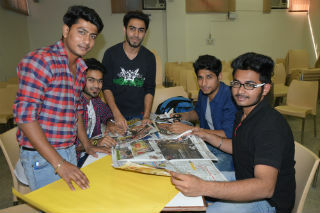 The event received an active participation from 10 teams having 4 to 5 members each. As the event took-off the faculty coordinator Ms. Ankita Prabhakar made the announcements about the rules and regulations of the entire events. Registrations of teams were done and the time constraint was explained. And then the event picked-up with all the teams collecting all the required materials. All teams spent some time in searching the resources for an appropriate theme and then started making their layouts. As the event continued there was a lot of hustle-bustle in the teams thinking and enacting their own thoughts and visions. The student coordinators kept a check on each of the teams for what all were going on and helped in sharing of resources. After a long time of 45 minutes the teams were called upon the stage by the judges for explaining their vision and the selected theme. 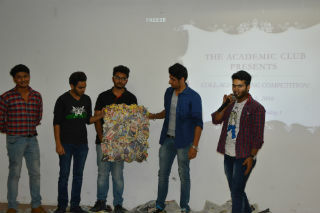 All the teams presented their collage in front of all the judges and the coordinators. It was a tough decision for our judges Ms. Anjali Madan and Mr. Shiv Anand to finalize the winner as all the themes were unique in their own. Judges took some time and then announced the winners of the competition. 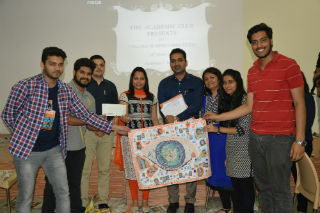 Shilpa Sharma, Ujjwal Teter, Jaanam Chawla and Ankit Chaudhary from BCA 6th semester 1st shift bagged the first position ,followed by Sumedha, Arushi, Nishtha and Pragyanshu of BCA 2nd semester 2nd shift as the first runner-ups and Sidharth Bengari, Rajat Rajput, Yash Pahuja, Priyank and Abhishek from BCA 2nd semester 1st shift as the second runner-ups. The event concluded with the appreciation of all the winners by our esteemed judges. Also prize money was awarded to them. The event was a hit as all creative thinkers got a chance to come up and create something new.